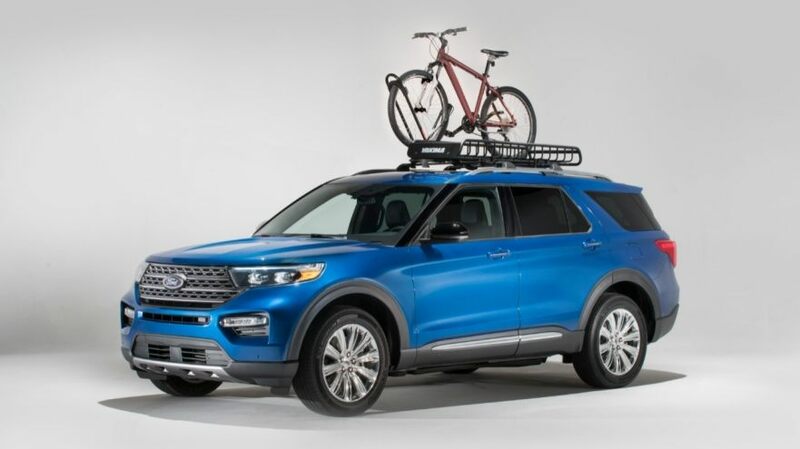 America’s favorite all-time SUV – Ford Explorer – is now even more adventure-ready, thanks to new Yakima vehicle accessories available in Ford showrooms when the all-new SUV goes on sale this summer. Explorer owners looking to customize their vehicle to suit their adventurous lifestyle can add Yakima outdoor accessories right in Ford dealerships – and can add the cost of those accessories to their vehicle finance plan. The Yakima catalog of Explorer accessories will include an assortment of racks to haul bikes, kayaks, canoes, skis, snowboards and more. Ford Credit has also announced that all Yakima accessories are eligible to add value to the vehicle in the event that it is sold back to the dealership in the future. The 2020 Explorer becomes the second Ford vehicle with in-dealership availability of Yakima accessories, following the all-new Ranger pickup. F-150 and Super Duty trucks will offer similar convenience.